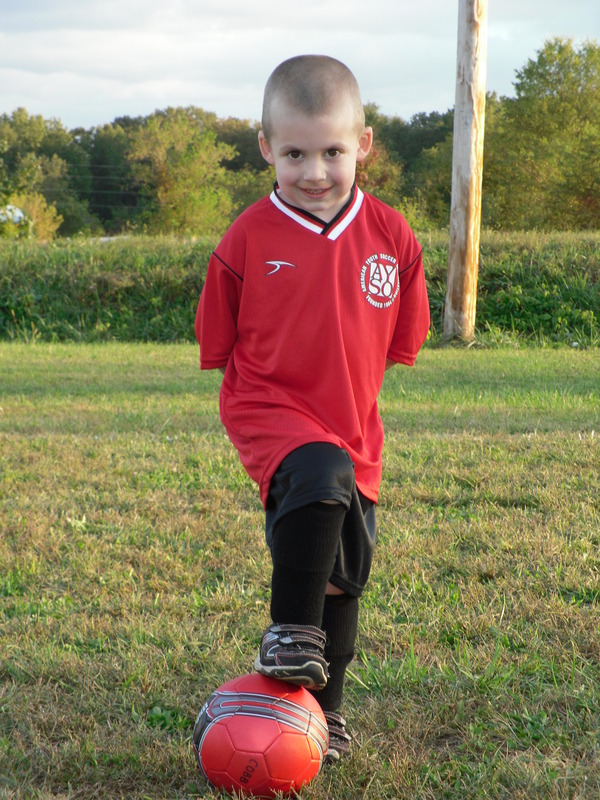 This fall, soccer was a family excursion. 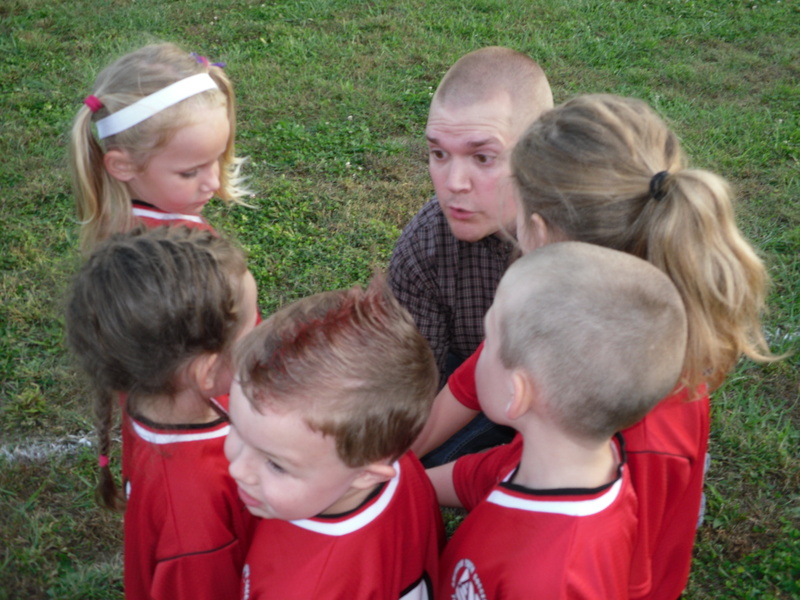 My husband Matt was convinced to coach our son Jackson’s team. So, several times a week we would pack up and head to the fields. While Matt was running with the kids and teaching them how to dribble and work together, I was running around chasing Lauren. My plan to keep the snacks flowing so she would stay in one place worked, and didn’t work. When the crackers ran out, she would go around to all the other families and siphon off their snacks or find treats on the ground. No matter how many times I told her she couldn’t eat off the ground, she kept going back. It was so exciting to watch the team during the games. Each contest they improved, in their tenacity, teamwork and ball handling skills. There were also moments, no matter how many of us parents were yelling to turn around, they would score a goal for the other team. It was a great season, and the kids had a ball, which was most important! In watching from the sidelines these past few months, it became clear to me that you cannot force children to kick the ball, work together, run hard or be aggressive. Though they may have the skills to carry out these things, it has to be their choice. Four-year-olds can be hard-headed, and my son is no exception! Some concepts took the entire season to begin to sink in. It was a lesson in patience for a competitive momma to watch as her son ran the opposite way of the ball and miss passes because he was chatting it up with another player, oblivious to the game. Yet after the whistle blew and people were leaving, he would hustle down the field and kick the ball square in the net! God gives each of us the ability to make our own decisions. Anyone with young children can attest that they want what they want when they want it. Free will can be frustrating! God knows the feeling well. He created us with this distinction because without it we would never really live to the fullest. Our existence would be a series of reactions and adaptations rather than choices. Yes, free will means that we can choose to reject God. We can decide to take the wrong path and turn our backs to what is good. Yet, we can also embrace God’s forgiveness and purpose, and choose to offer our lives back to Him. We can follow our Savior and experience His joy and peace. Free will is the wonderful freedom to choose Jesus, to stake our eternity in His wonderful promise. It is the decision to submit our will to His. I was reminded of this amazing gift on the soccer fields this fall. Yes, many times my kids would choose to be uncooperative, but then they would also choose to share and encourage their friends and even listen to the coach. My favorite was the unprompted after-game hugs and kisses. The season is now over, but this lesson still resonates. 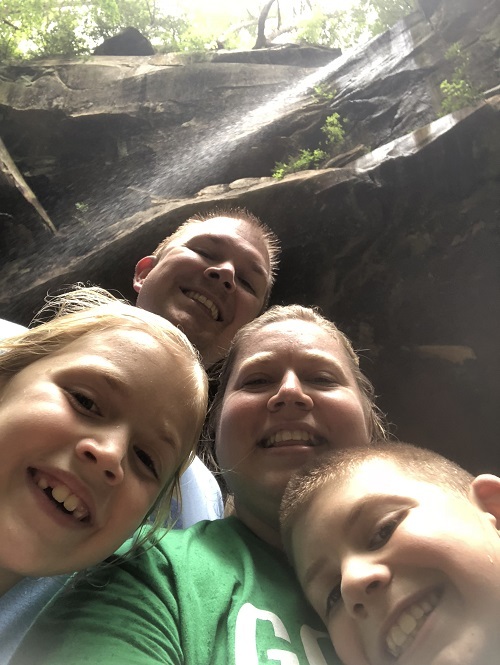 I will decide to follow Jesus today, and choose to share with my kids the God who loves us first. Your post made me smile. 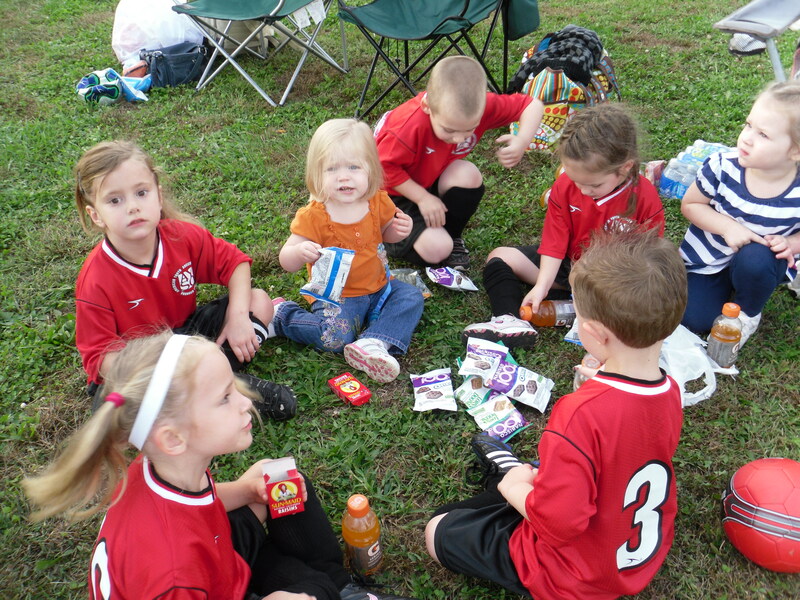 I was a soccer Mom and oh how I remember those days! Three of my four children played soccer. Yes, life is about choices and no matter what life is like, we can always choose to rely on HIS wonderful promises! Thanks Cyndi! I am so thankful for God’s faithfulness! !